Hofang Youth Hostel is located in Dajing Street, nestled between two of the most famous old pedestrian streets, and one restaurant-street, in Hangzhou. The area used to be the imperial center of the Latter Song (Nan Song) Dynasty, and the street where the hostel is (where much of the history and culture remain) is also the one that is full of restored old buildings, with lots of character, identifying it with the traditional Yangtze Delta. The hostel is only a couple of hundred meters from any of these tourist attractions: the Historical Gate, the Traditional Chinese Medicine Museum, Hu Xueyans Residence, the Pedestrian Hefang & Imperial Streets. A short 5-minute walk will take you to either Wushan Square or Intime Shopping Mall from the hostel, and it takes 15 minutes by foot either to West Lake or Carrefour. The hostel is about 1.7 kilometers from the Main (central) Hangzhou Train Station - an 11 yuan taxi fare. There are lots of buses nearby to places of attraction, shops and etc., it is an extremely conveniently place to hang out!The hostel has a courtyard in the central area, as well as a paved outdoor patio, with white walls, traditional roofs with Chinese tiles, and a pomelo tree. 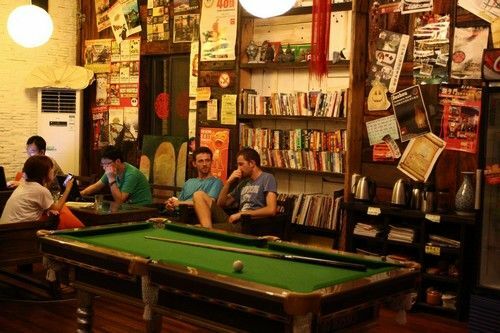 There are Chinese loft rooms, with exposed wooden beams, private and shared dorm rooms available to guests - who often keep returning from all over the world! We have a cozy cafe / bar inside and a lovely Chinese restaurant, offering both Chinese & Western food and drinks. FREE WiFi is available in the cafe / bar, the shared dorms, and also in the communal area - where there is a mini pool table for relaxing and meeting fellow guests. Private rooms have both FREE internet access, either by WiFi or with a cable. 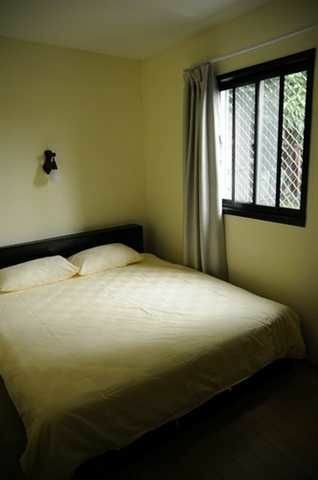 Facilities of the hostel include security keycard, heater / Air Conditioner, complimentary use of a towel, slippers, and both shared & private hot showers accessible 24 hours per day. Free luggage storage is provided at the reception. Barbecue facilities and laundry service with extra charges are also available.Leave a review about your stay, help us improve our service and accommodate more guests better, that will be highly appreciated!We look forward to welcoming you here - your Hangzhou Holiday Home, Hofang Hostel!Hope you have a good time here. 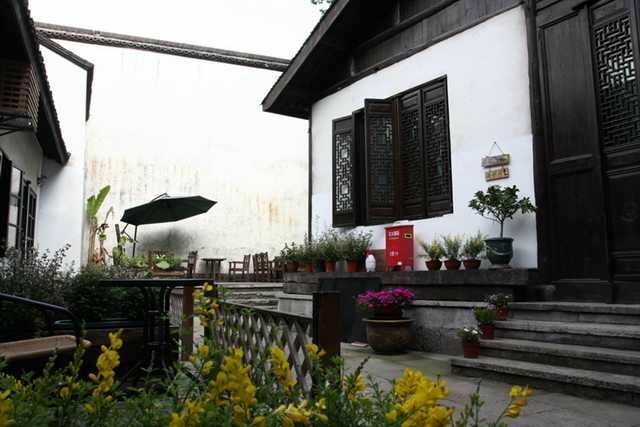 Add: No.67 Dajing Xiang, Shangcheng District, HangzhouThe hostel is in the pedestrian area, take a taxi to Gulou/the historical gate of the city, then walk through the gate, always turn left, 150m down to No. 67 at your left side.From Main Train Station/Hangzhou Zhan(1.7km):a. 11 yuan taxi ride to Guloub. Metro line 1 to Dingan Road, D entrance, turn right at the 1st juncture, walk down 700m till No. 67 Dajing Xiang at your right side, after TCM.c. 1.7 kilometers from the hostel, walk 25 mins to Gulou and then to the hostel;From East Train Station(10km):a. Metro line 1 to Dingan Road stop, D entrance, turn right at the 1st juncture, walk down 700m till No. 67 Dajing Xiang at your right side, after TCM.b. 40-50 yuan taxi ride to GulouFrom Hangzhou Airport(29km):a. 20yuan shuttle bus ride to Hangzhou Train Station within 40-60 minutes , then 11 yuan taxi ride to Gulou.b. 100-110 yuan taxi ride to GulouFrom Main Hangzhou Coach Terminal(20km):a. Metro line 1 to Dingan Road within 40-45 minutes, D entrance, turn right at the 1st juncture, walk down 700m till No. 67 Dajing Xiang at your right side, after TCM.b. 75 yuan taxi ride to Gulou.From West Coach Terminal(12km):a, take bus 102/k102 to Qingbomen Stop, walk backward 15m to the Aston Martin shop, turn right, 1.3km straight down the street till TCM before the McDonalds, turn right, 50m to No.67 at your right side; b. take bus 102/k102 to Wulinmen Stop, switch to bus 13/k13, get off at Gulou Stop, walk backward 30m and turn left to Gulou, then walk through the gate, always turn left, 150m down to No. 67 of Dajing Xiang; c. 45-55 yuan taxi ride to Gulou within 35-45mins.From North Coach Terminal(15km):a, take bus 188/k188 to Jiebai Shangdian Stop, walk forward 900m till Wushan Square, turn left, 400m till Lianhua Supermarket, trun right, 100m to No. 67 of Dajing Xiang at your right side after Traditional Chinese Medicine Museum; b. take bus 188/k188 to Miduqiao Lukou Stop, switch to bus 13/K13 to Gulou Stop, walk backward 30m and turn left to Gulou, then walk through the gate, always turn left, 150m down to No. 67 of Dajing Xiang; c. 50-55 yuan taxi ride to Gulou within 35-45mins.